NUMBERSEVEN is the freelance design studio of Greg Melrath. With a focus on graphic design, branding, web and email, Numberseven partners with businesses to provide focused print and web-based design solutions. Greg brings over 15 years of professional design experience to all of Numberseven’s work. He has created leading print and web campaigns across a variety of markets for both regional and national clients. Contact Greg to discuss how NUMBERSEVEN can team with your business to develop and maintain a strong brand identity. 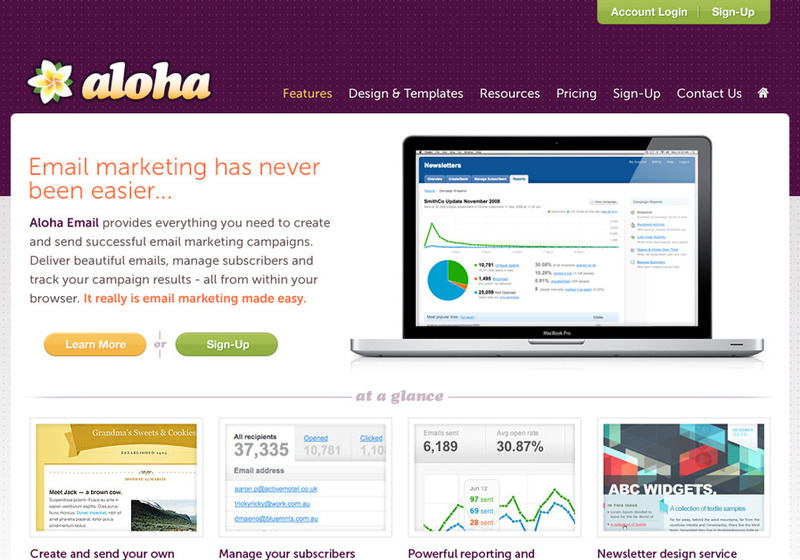 This is a screenshot of my recent website design for Aloha Email Marketing.